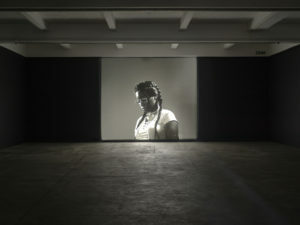 London-based sculptor, photographer and filmmaker Anne Hardy’s fourth exhibition at Maureen Paley features the UK debut of her new film Area of Overlap. The work is presented in a specially created cinema setting that includes drawing and sculpture that make up the seating and lighting. The whole experience suggests a JG Ballard-inspired view of our future, partly informed by the artist’s walks through east London – an area that has undergone massive redevelopment in recent decades. 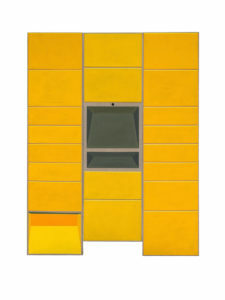 Also on show is Flutter, a large freestanding photo structure. 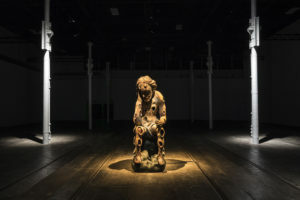 The London-based Japanese artist Rie Nakajima has created a range of new kinetic assemblages for this Ikon show, created over a period of visits to Birmingham and the area surrounding the gallery. 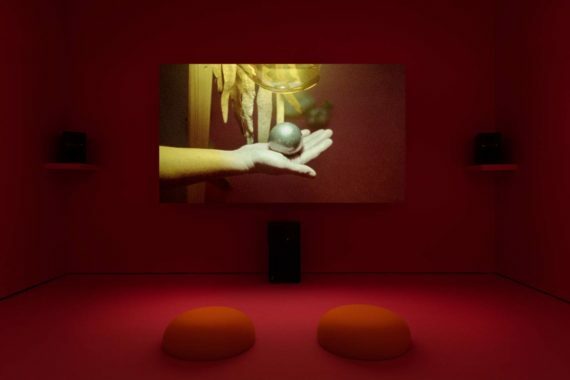 Nakajima is known for her live sound performances that incorporate floor-based sculptural arrangements of small, often found objects which she then rearranges to create textures of sound and movement (see opening event performance above). Featuring all new work, Nakajima has also been working in collaboration with other artists for a number of performances during the show’s run. 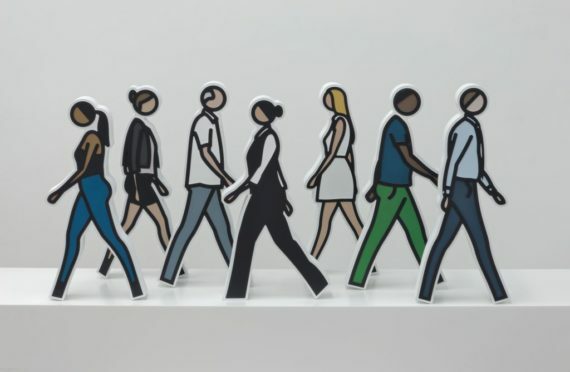 Julian Opie is well known for his work that references everything from lightbox advertising and billboard signs to Japanese Manga and 17th and 18th-century portraiture. For his latest show he presents a number of recent sculptures, prints and animations. Highlights include a new series of relief prints featuring silhouettes of people walking around Melbourne, where Opie will have his first major solo museum exhibition in Australia later this year. What may at first appear to be purely abstract images, Rachael Clewlow’s paintings and prints are actually based on the rigorous recording of her everyday movements. The work on show here is based on a set of specific pre-defined walks in Newcastle, Rochdale and London, recreated using a system of ‘translation’ where the recorded data becomes abstract patterns of form and colour. 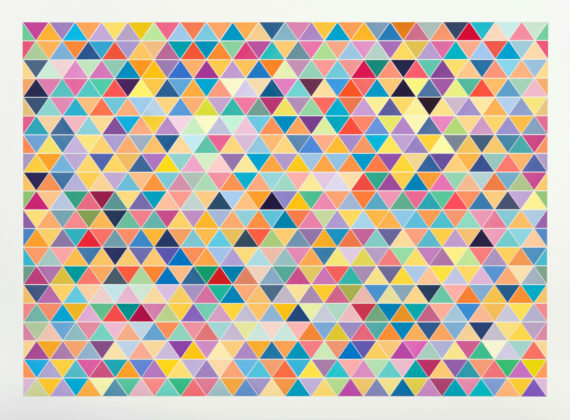 There is a certain feeling of absurdity about it – the journeys are depicted in a whopping 3,200 colours – but the end results are suitably intriguing.